The next presentation on the agenda was one by Deltakraft who introduced their unique “SMART SERVICE VOICE-ENABLED VIRTUAL ASSISTANT” – an automated, AI and NLP powered solution that can improvise the current IVR functionality and Customer Support for the current telephony based assistive function. Although IVR has been around for quite some time, it only functioned as a filtration step, categorising calls through relevant numbers that need to be dialled by callers. That means that while the calls received by agents are more relevant, a large scheduling of human resources is essential to man the service support Centre usuallyentailing in long wait queues. The Voice Bot which also has Text and Touch by Deltakraft helps reduce the dependency and assists not only minor/ repetitive but more complex queries to be solved by the Bot with due authentications, thus reducing the service time, increase in efficiency and cutting down on actual human resources deployed to for consistent functioning of the centre. Speaking about the Voice Bot service and the potential of the innovation and the support from the SI community,Mr Dnyanesh Kulkarni, Founder & Director, Deltakraft Solutions Pvt. Ltd., said, “This solution was created when a client from the BPO Centre approached us to solve a critical Service Centre issue. What followed was this innovation that has been tested and also offers customisation to meet the needs of several different industry verticals, including internal communication! 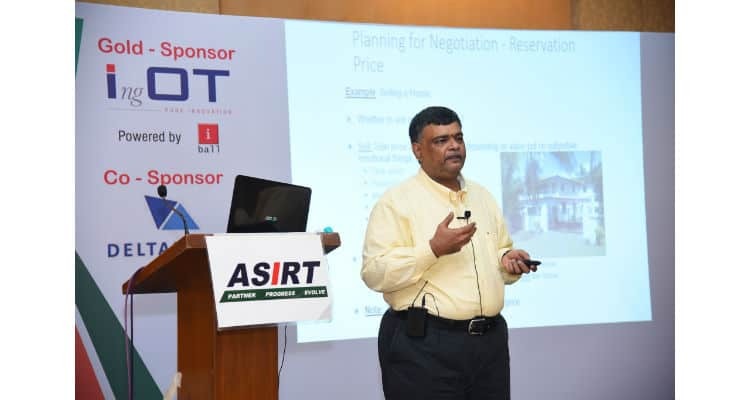 We selected ASIRT to promote our innovation, as the SI community represented by ASIRT isa resourceful set of people. It is thus relevant for the SI’s to move from selling products to offering solutions. The uniqueness of the innovation coupled with lucrative margins makes this a great business proposition for ASIRTers while Deltakraft gains from the endorsement of senior SI’s in the industry.” Though this product is promoted, marketed and sold by Deltakraft it is developed by Spaan IT Solutions Pvt. Ltd., which is also founded by Mr Dnyanesh Kulkarni in December 2015. Deltakraft launched their Next-Gen Voice Based AI products at ASIRT’s Techday platform 0 out of 5 based on 0 ratings. 0 user reviews.